Located in the heart of Europe, covering the majority of the north of Belgium, Flanders is a region in which people have been doing business for years – and often without realising. Encompassing cities such as Brussels, Antwerp and Bruges, the area is a thriving business hub, hosting an endless supply of interesting attractions, unique venues and world-class hotels. A rich medieval history, an abundance of art and culture and the rush of city life are all features that have been drawing people to the area for centuries. But for visiting delegates in particular, Flanders has so much more to offer – the diversity of the region, teamed with its remarkable past and central location, means that there are endless possibilities for conference venues. Businesses can organise a cocktail reception in a medieval fortress, or a dinner party in one of Napoleon’s former residences. Every day, thousands of passengers travel through Brussels Airport. The airport – Belgium’s busiest – is located in heart of the country and offers visitors easy access to Flanders’ congress cities. In addition, the exceptional train network in the area means that quick and easy transport is possible not just between its towns, but between neighbouring countries too. Cities across the rest of Europe, including Amsterdam, London, Paris, Cologne and Frankfurt, are all reachable through high-speed trains from Brussels Midi Station, all with a journey time of less than three hours. Naturally, within each of Flanders’ cities the superb public transportation networks also mean that travelling between local places couldn’t be simpler. This is particularly beneficial for businesspeople, as the difficulties of commuting can be a considerable factor when selecting a place to stay – the fact that this expansive transport network perfectly supports the area’s overwhelming selection of high quality accommodation and excellent conference venues means that, in Flanders, this need never be a problem. Additionally, Flanders’ aspiration to be an eco-friendly destination means that many of these locations are in fact walking distance from one another. The diversity of cultures, tastes and histories in the region means that Flanders is particularly rich in cultural attractions, historical monuments and excellent restaurants. In fact, out of the 121 Michelin-starred restaurants in Belgium, 75 percent are located within the Flanders region. This extremely high concentration of fine cuisine means that, proportionally, the fine dining options in Flanders surpass even those of France and Spain. Additionally, Flanders’ North Sea coast means that fresh seafood is abundant across the region; something that every visitor is emphatically encouraged to sample. Flanders’ cities are also noted for their unique beauty. Bruges is famous for its confectionery triumphs and its ‘chocolate street’, which boasts over 50 confectionery shops, but is also renowned for its ‘biscuit tin beauty’. 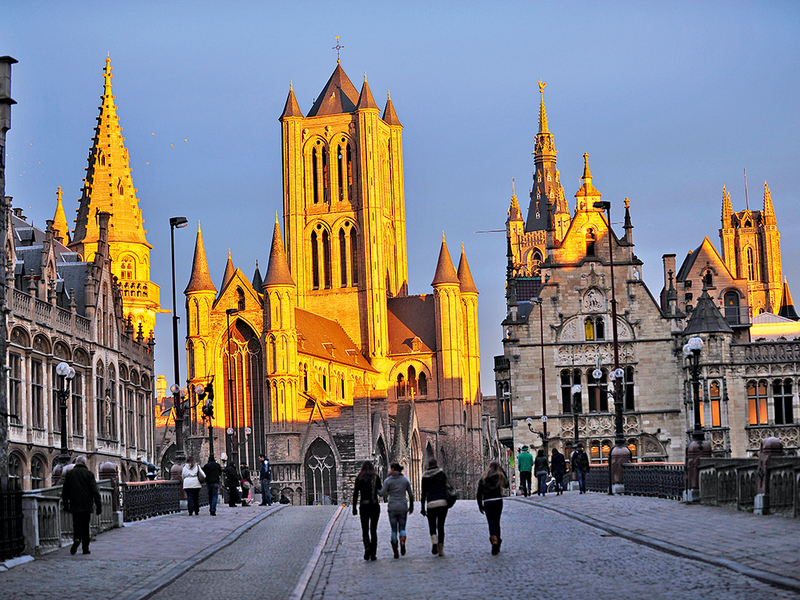 Elsewhere, Ghent offers visitors the perfect combination of historical and modern attractions, while Antwerp is rich with incredible architecture. In the centre of the region are Leuven and Mechelen; two of Flanders’ undiscovered gems that are both within 30km of Brussels Airport. The region is steeped in European history – particularly from the Middle Ages – and remnants of its illustrious past can still be found across its cities. Its lavish buildings and historic sites not only serve as stunning monuments, but are also available to be utilised as exciting MICE destinations and conference venues. The area’s friendly, passionate people make for ideal acquaintances and accommodating hosts, and with such a diverse range of locations, hotels, venues and scenic backdrops, it is no wonder that the region has one of the best reputations for hospitality in the world.